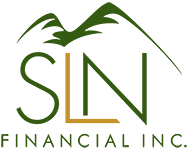 For Financial Stability, Turn to Annuities | SLN Financial, Inc.
Americans routinely report being anxious about their money and retirement plans. Today, over 50% of American adults report being either “very” or “moderately” worried about retiring with too little money. How can you achieve a worry-free future, though? The answer may simply be: annuities. By purchasing an annuity, you can exchange a chunk of your retirement savings for monthly checks the rest of your life; without having to worry about stock market volatility and other financial instability. Have annuity questions? We can help! Feel free to call us and we can help you make the best decision for your personal situation.